Is the price of oil and/or gold an early indication for what might happen in the CAD or AUD? What about the Nikkei and the USD/JPY? It would be nice to know this in advance, no? So there are three other markets you can look at to try and get a better read on where certain currencies, or currency pairs, might be headed. You’ll see things like the AUD and CAD referred to as “Comdolls” because they are “Dollars” that rely heavily on “commodities”. Get it? Whoah!! Let’s do some digging and see if we can find anything useful. If we can, this can be a game changer. If we cannot, this will be one less thing we have to worry about going forward. Mineral fuels (oil) is Canada’s largest export, accounting for over 20% of its total exports. It’s so heavily weighted, that the price of oil is supposed to weigh heavily on the price of the CAD. Price of oil goes up, CAD gets stronger, typically. There are two main types of oil in North America — Brent Crude and WTI. The differences are not important. But let’s take a look at both charts. You’ll see a lot of similarities, even though WTI is a bit more of a drama queen. And here’s WTI. The spikes/dips are more pronounced. Apart from that, not much change. So this data is supposed to move opposite of the USD/CAD, according to the place I showed you to go learn Forex from the start. If this is true, the USD/CAD should look like one of the above charts turned upside-down. Would you want to try to use one to predict the other? I would not. Uphill battle for sure. Let’s throw this idea out for now and move on. Australia has a lot of gold and other metals, China buys a lot of it, blah blah blah. The idea is that gold and the Aussie Dollar should move in tandem. Let’s see if the charts add up. 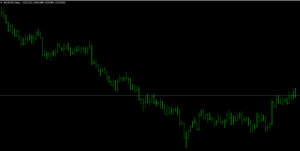 AUD/USD in the same time period we’ve been using. Now pay close attention. 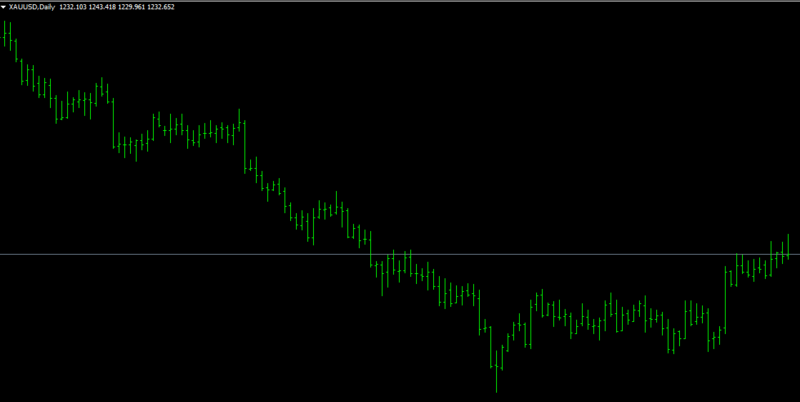 Gold actually does follow the AUD/USD down, but when it rebounds, the AUD/USD does not. I had actually spoken a bit incorrectly in the podcast when I said the two look nothing alike. I was looking from a more zoomed-in, 3 month perspective. But if you tried to go long on the AUD/USD because there was a real divergence there when gold spiked up, you would have been in for a rude awakening. And even before that, they moved in tandem, and you cannot gain an advantage if two charts are just moving together at the same time like that. You need a canary in the coal mine — something that alerts you to what is about to happen in the Forex world. So far, oil and gold have not done a good job of this, and therefore we can’t use it to our advantage, sadly. Let’s look at one more possibility however. Were you aware of this correlation? It’s lesser known. It is a thing however. And has been for awhile. They used to run in tandem, which like we just mentioned, is fairly useless to traders looking for a real edge. But in the last few years, since the Nikkei trades in the Asian Session, which is the slow session in FX, sharp traders have been waiting for the close of the Nikkei market to better predict directional bias for the USD/JPY in the London and New York Sessions. First off, I do not recommend trading these lower time frames. Know this first. Second, it doesn’t work very well. Why? Because the Nikkei does not have a strong effect on the Eurostoxx 50 and the S&P 500 markets. And these markets, at least from a world financial standpoint, are much stronger, and override anything the Nikkei did earlier. And because of this, the data we gain from those markets are what ends up driving the USD in the end, and the USD drives the bus far more often than it doesn’t. From a daily chart standpoint, we can look at the two and compare like we did before. Not much there for us to use. No. But this is a good thing, in a way. You no longer have to bother with any of this anymore! You can shift your focus to things that actually matter. Seriously, this is good news. Eliminating the things that don’t work is paramount to your success. I just gave you a lot of your time back. You’re welcome. Eliminate the things that don’t work and don’t matter. Focus deeply on the things that do.